MaxTeam is a project control collaboration tool for project management or business management teams. It promotes team collaboration with a central data repository and workflow framework to help teams organize and manage project data. This framework along with robust reporting functions helps teams establish standard and repeatable processes to measure a variety of performance metrics across projects. With MaxTeam, teams can develop reliable budget plans, establish key performance indicators (KPIs), measure work progress, import recorded actual costs, and produce credible cost at completion forecasts for effective return on investment (ROI) analysis. Gain insights from your team using quantifiable measures to gauge project performance and quickly identify project issues that can impact the project’s technical, schedule, and cost at completion goals. Generate credible cost at completion forecasts to proactively manage project profit and loss margins. Encourage a culture where project teams are constantly learning and increasing their level of project control maturity following a standard set of project control best practices and analysis techniques. 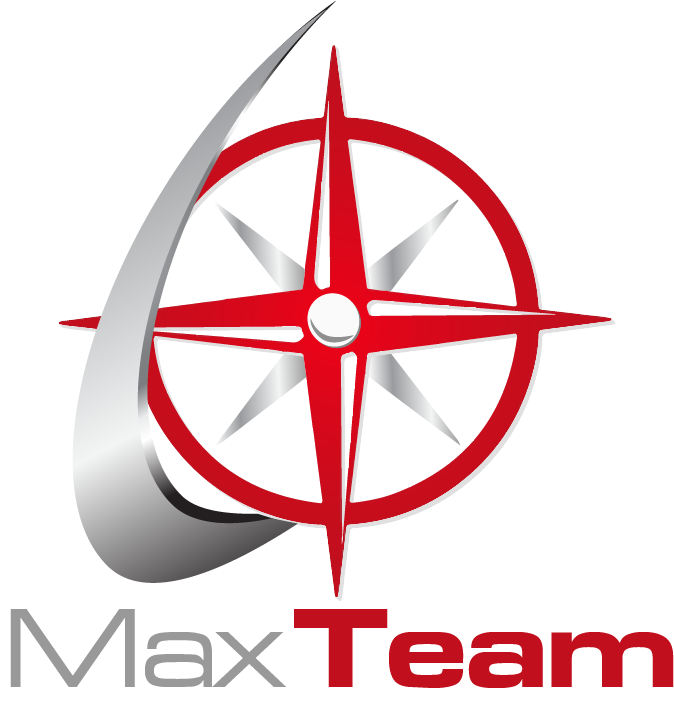 MaxTeam provides the structure for project teams to organize and analyze project control data so they can proactively manage projects. This translates into refined decision making and enables the team to better influence the technical, schedule, and cost outcomes of a project. With built-in workflow and a standardized process in place teams see improvement in communication, project control data quality, and visibility into current project issues. These factors can make a difference in meeting or exceeding management and customer expectations. Track progress with ease for modification and improvement opportunities. Gain enhanced insight into project performance and emerging issues to effectively manage future work effort. Produce summary data views or drill down into the data to analyze performance metrics – with a central data repository you can be confident the data are fully traceable from the top down or bottom up. Produce realistic time phased budget plans that integrate bi-directionally with schedule tools. 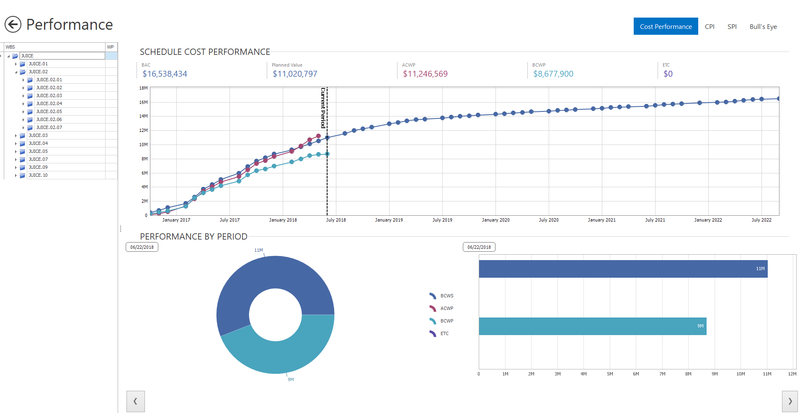 Leverage actual costs and current project performance to more accurately forecast project cost at completion and assess the project profit/loss margins. Maintain historical data you can use as the basis of estimate for future project proposals which leads to more accurate budget plans when the contract is awarded. Increase team communication and visibility into project performance to proactively manage project outcomes following preferred standard processes. Leverage the built-in workflow functions to organize team roles and responsibilities as well as to manage the development and maintenance of project data. Vastly enhance and, at the same time, simplify the way projects are managed through each project phase following standard, repeatable processes. Teams can create and maintain a single source for data in a central database. Increases data quality and enables data traceability from the top down or bottom up. Provides full transparency for the entire team as well as internal management and your customer. Establish a library of reliable source data and basis of estimate documentation teams can search and use to produce data-driven cost estimates, budget plans, and cost to completion forecasts. Easily verify the source data rationale, variables, assumptions, and results. Easily collect and import data from multiple sources. Capture historical data, cost estimating relationship (CER) data, and bills of material (BOM) to build the source data library. 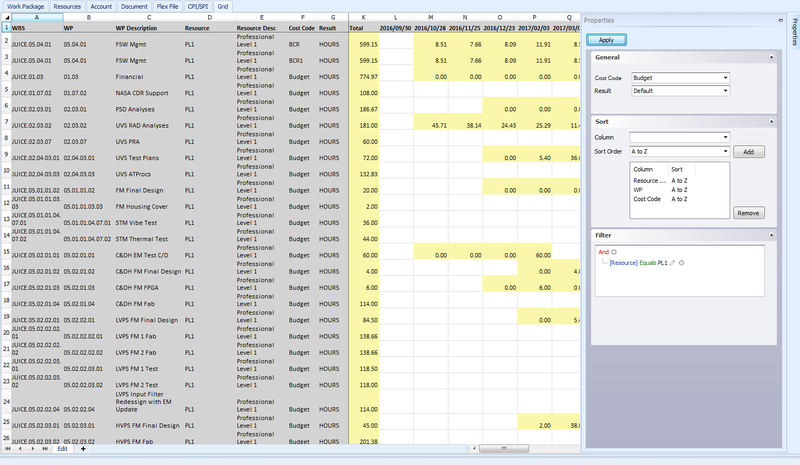 Excel like interface to enter hours, FTEs, or direct costs. Use sort and filter controls to create individual views so team members can focus on just their work effort. 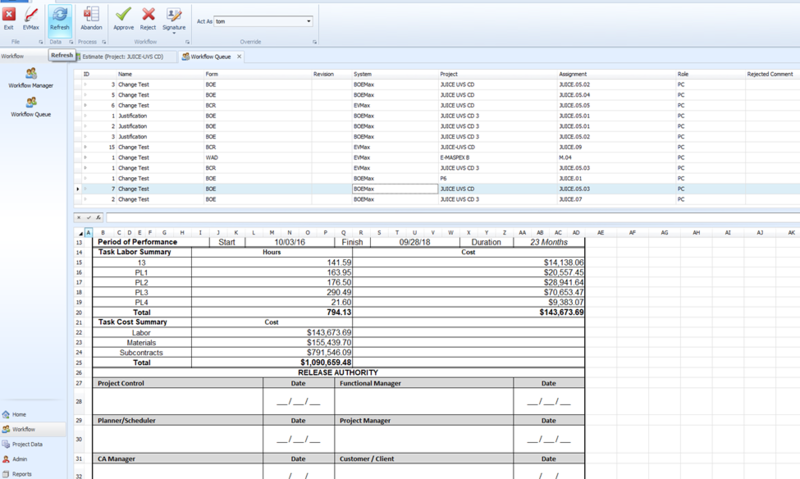 The entire team can easily budget their work or forecast what it will take to complete the remaining work. That means the schedule data and cost estimate, budget plan, work in progress assessment, and forecast to complete the remaining work are always in sync. Teams can easily produce schedule driven time phased cost data and verifiable work completion status. Designed to enhance team communication and visibility. With defined roles and responsibilities, each person knows what is in their work queue and changes are automatically captured. The entire team has complete visibility and can trace who did what to the data. 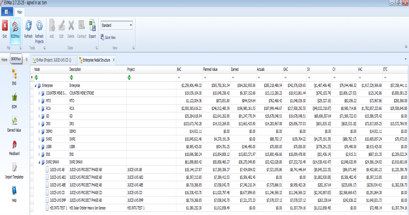 Quickly establish a library of standard reports using built-in reporting functions and ad-hoc pivot tables. Easily produce a variety of project, performance, and financial management reports such as EAC, ROI, or profit margin analysis. The only limit is your imagination. Quickly gain visibility into the current state or emerging trends for project performance, staffing, profit and loss, and estimates at completion whether at the project or portfolio level. Change isn’t easy. Our team provides implementation support to ensure success. Have an issue? Send us a ticket and we’ll resolve it quickly—regardless of the problem’s complexity.